These interesting insects fly around in search of manure deposits, or pats, from herbivores like cows and elephants. 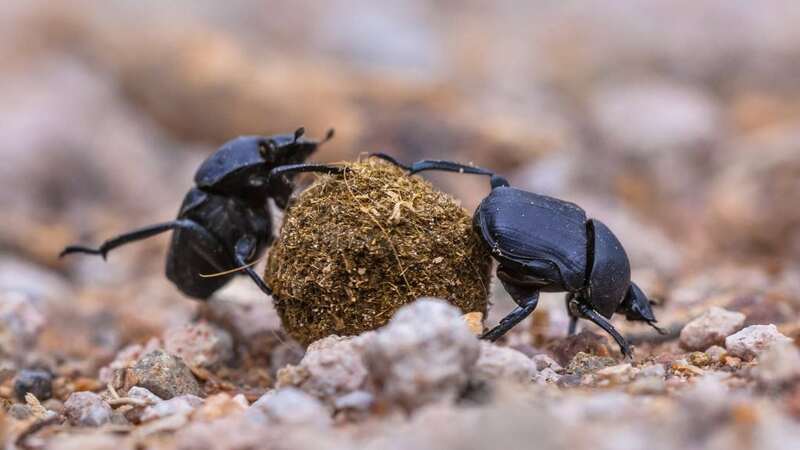 Dung beetles come in a variety of colors, from dull and glossy black to metallic green and red. Find out more about these little beetles!